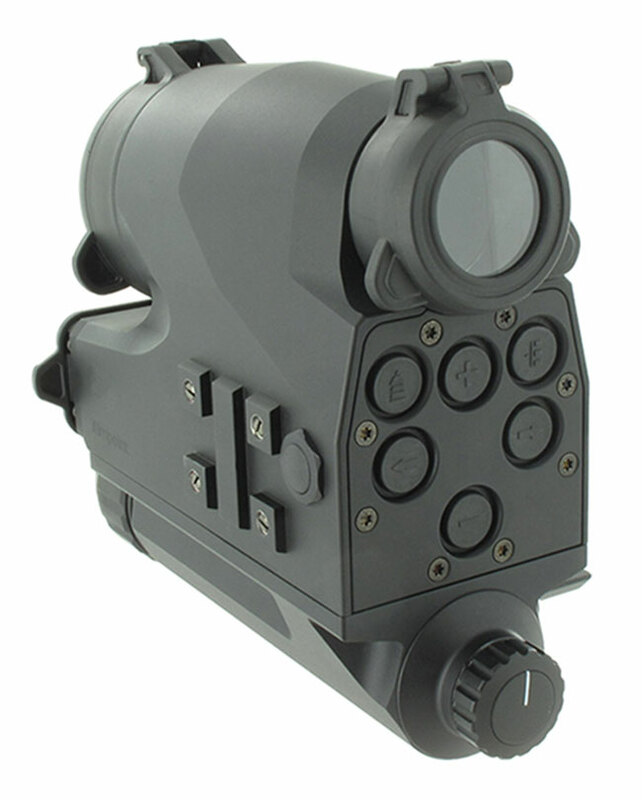 Push button interface located rear of the sight allows for setting advanced features, as well as providing a back-up interface for stand-alone operation. The FCS12 system comprises a Laser Range Finder, a ballistic computer and a parallax free optical channel with unlimited eye relief. The FCS12 automatically compensates for the ballistic drop of projectiles at measured distances, factoring in variables such as rotational (spin) drift, propellant temperature, and terrain angle.